The short film He Waʻa He Moku He Moku He Waʻa was produced in a partnership with Polynesian Voyaging Society, The Nature Conservancy and Papahānaumokuākea Marine National Monument and World Heritage Site. 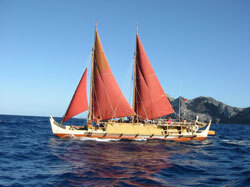 The goal of this film is to help introduce waʻa (canoe) values, to students and teachers in Hawaiʻi. These values, essential to open ocean voyaging, translate well to ways we should live on our islands, and on this planet. The title, translated in English, means: The Canoe is an Island and the Island is a Canoe. 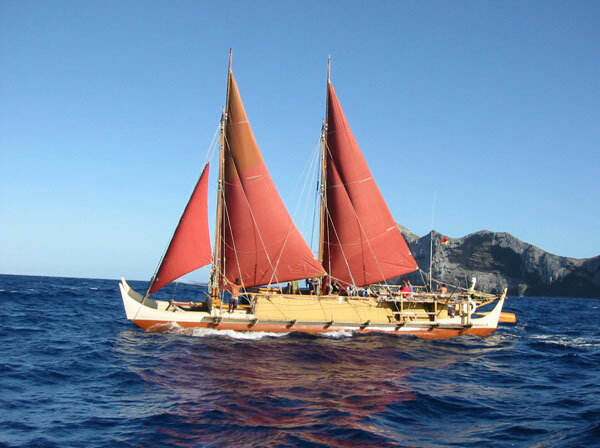 He Waʻa He Moku He Moku He Waʻa serves as a tool to introduce how we can conserve limited resources, care for one another, understand our individual responsibilities, and seek knowledge to find our way as a community, on land and in the ocean. Students and teachers who adopt these values in their classrooms will find that a journey of learning is less dependent on rules and regulations, and more reliant on a shared value system that promotes individual and group growth and nurturing. The film culminates with several schools who have taken these values beyond the walls of their classrooms, and into wild spaces of Hawaiʻi, restoring native habitats in the forests wetlands and coasts near their schools. He Waʻa He Moku He Moku He Waʻa is divided into 8 parts. Please click on the title below to view the video section.